Father's Day Caucasian Dad And 5 Year Old Son In The Backyard Near The House On The Green Grass On The Lawn Repairing A Bicycle, Pumping A Bicycle Wheel. Dad Teaches How To Repair A Child's Bike. Lizenzfreie Fotos, Bilder Und Stock Fotografie. Image 115334595. 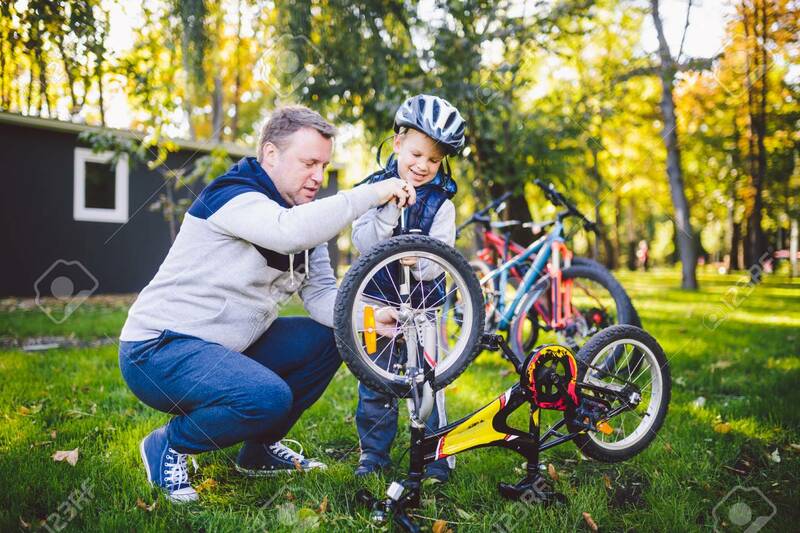 Standard-Bild - Father's day Caucasian dad and 5 year old son in the backyard near the house on the green grass on the lawn repairing a bicycle, pumping a bicycle wheel. Dad teaches how to repair a child's bike. Father's day Caucasian dad and 5 year old son in the backyard near the house on the green grass on the lawn repairing a bicycle, pumping a bicycle wheel. Dad teaches how to repair a child's bike.